This is the summary of consumer reviews for Tommee Tippee Travel Bottle and Food Warmer. The BoolPool rating for this product is Very Good, with 4.40 stars, and the price range is $15.79-$24.99. 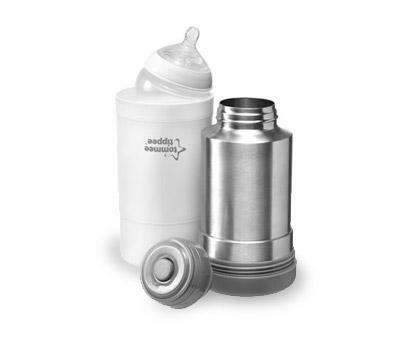 The Tommee Tippee Travel Bottle and Food Warmer heats everything from breast milk to baby food. Just fill the stainless steel flask with cooled boiled water and, when feeding time comes round, simply pour the water into the upturned frosted container and warm your bottle. This dual purpose product lets you use warm water to heat up bottles or use warm water to make fresh feeds when you are out and about. Users say that this travel bottles keeps water hot for a long time and does not spill. It holds enough water to warm 2 to 3 bottles and the lid is big enough to fit majority milk bottles. This Closer to Nature Travel Bottle and Food Warmer is easy to carry and use on road trip since it does not need any power. However, some users find this bottle to be bulky for a diaper or backpack even though it is considered compact design enough to fit in baby’s changing bag. Overall, the Tommee Tippee Travel Bottle and Food Warmer is a very good product for heating bottles and baby food wherever and whenever. It is highly rated and recommended by most users. This product works out well for warming a baby's bottle or really anything that need to be warmed. i love this tomme tippe, it worked great at warming the bottle fast and stays warm for a long time.....great!. This product worked just as described. it worked the first couple times i used it... then it leaked all over baby bag, couldn't use diapers, extra clothes, etc. The thermos keeps water warm for several hours. Other than that this's the best solution out there to warm bottles.i use dr.brown and works great. it's a bit bulky for a diaper bag/backpack but it works well. Warming up a bottle took very little time which is great when feeding an infant. I use it when on the road and don't have time to stop to warm milk. I started using a regular thermos instead, which worked just as well. Doesn't take long to heat up the milk since the water is so hot. Heats up breast milk bags for me in less than 2 minutes. The water stayed hot for several hours and heated her bottle quickly. The water stays hot and the lid is big enough to fit majority milk bottles. Most restaurants give you a dinky cup or mug that doe not contain enough hot water volume to heat a cold/room temp bottle of milk to warm/very warm temperature. Doesn't leak and keep water HOT for hours and hours. I've burnt myself with hot water. Even heated frozen milk in a storage baggie. We fill it up with super hot water and have been gone for hours and come back home and it's still hot. I purchased this bottle warmer for my baby boy to heat up breast milk. Keeps water warm for hours. Keeps water steaming hot for hours!!! Works well and keeps water hot for more than 12 hours. Keeps water hot for hours, doesn't leak, travels well. Works great and keeps water warm for the entire day. I't great and keeps water warm for whole day. It keeps water hot for at least 12 hours!. It keeps water hot for a couple hours well. It keeps water hot for a long time and it does warm up the milk without taking too long. It keep water hot for a long time-- we've had hot water after 8 hours! It doesn't spill when closed and the water stays super hot for warming bottles. I boil water and then use the hot water with water from my water bottle to get the perfect temperature. Even after 8 hrs the water is warm if not boiling hot!. 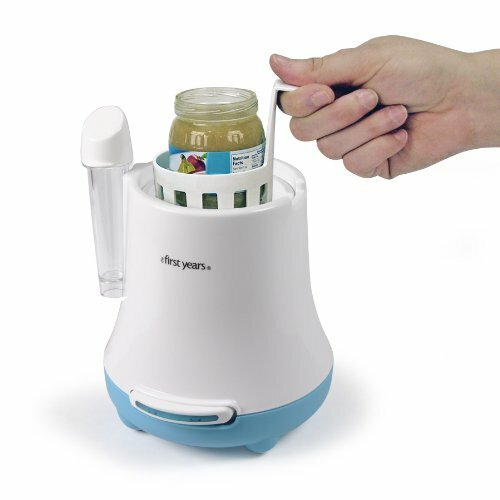 It keeps water super hot for hours and warms breastmilk in a couple of minutes. Loved that the water was still warm and loved not having to seek out hot water. It holds enough water to warm 2 bottles, maybe 3 if you're conservative with how much water you pour. We love it and the water stays hot for SUCH a long time. Boil your own water, take it with you and baby needs food, pour out hot water into container and put feeding bottle into it. I heat my purified water at night fill up the thermos and have warm water all night long.